and how it saves your company money! 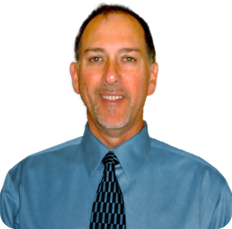 "As your consultant I will provide personalized service for each member of your team so they learn how to work together and with computer systems to maximize productivity. I will promote your education and experience so that your company is compliant with regulatory requirements and is self-sufficient." I have new software that I need to install and get into use but I don’t know how to get started. I have an upgrade but I don’t know how to do change control and re-validation. I’m not exactly sure which documents are necessary. I don’t know how to create documents that are acceptable to my customers, QA and FDA. 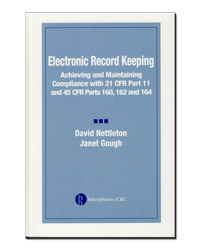 What training do I need to understand 21 CFR Part 11 so I can avoid 483s and Warning Letters? How do I manage a validation project without spending a lot of money? How much should it cost? Staff is busy, how can we make time to do a validation project? 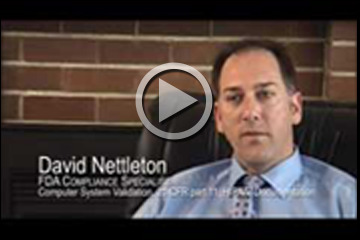 Which employees are needed to implement the software system? What has to be qualified and what has to be validated? Do I have to execute a ton of test cases? How do I validate an Excel spreadsheet? 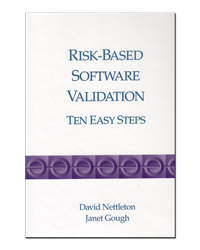 What is the risk-based approach to validation and how does it make my project easier? How can I save money and still get a high quality system? How do I know which system to buy? How do I select a vendor? How do I audit a vendor? 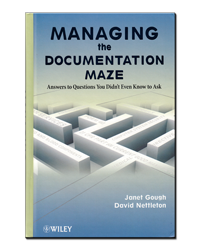 What documentation does a software vendor need to pass a client audit? As a Software as a Service (SaaS) provider, what documentation is needed to pass an client audit? What is needed to qualify a virtual server (VMware, Hyper-V) environment and how does this affect validation of software applications? 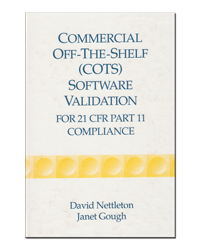 …consider that David Nettleton has completed more than 240 software validation projects working step by step with the people that actually use the software. Together we fill out standard templates taken from my book. Projects are typically completed in one-third the time of any other approach. This means the system is up and running with trained users in a third of the time too. The result is increased employee efficiency and your company is now more productive. Isn’t that why you bought the computer system in the first place? Wow. This is exactly what I was looking for. You are awesome – this was the best class I’ve ever taken (college, professional training, etc). See the Books page for more information and to order.